Mexela is a one of great data-center proxies service provider, offering the dedicated proxies and sneaker proxies packages, Support HTTP(s), User/pass and IP authentication, We would like to rank mexela as #8 or #9 from the private proxy providers. Not many proxy services can stand up to its name and consistently perform well. Such a proxy service that lets users choose from a variety of packages with numerous advantages is Mexela. Mexela excels in providing dedicated datacenter proxies. With more than 300,000 highly secured proxy servers located across USA and Europe, Mexela offers very fast connections with unlimited bandwidth and ensures complete anonymity. Mexela has been a trusted name in providing proxy services since 2014 which is proved by their great user feedback and being rated as one of the top ten datacenter proxies. The 24-hour full refund policy along with fast customer support has contributed to its excellent feedback. Fast and dedicated HTTP/HTTPS proxies. Small Packages for sneaker websites. No limits to use their proxies. Credit Card payment is not accepted. Mexela has three types of proxies for the users. The semi-dedicated proxies are shared between three users, but everyone has unlimited bandwidth and all other general features of Mexela. The dedicated proxies are, as the name suggests, reserved for one user only and offers much better speed. The sneakers proxies are also dedicated and private but are especially suitable for sneakers enthusiasts to get their hands on the latest product before anyone else. Apart from sharing the connection, all packages have same common features. The proxies are offered in several packages. The semi-dedicated proxies start from as low as $10.00 per month for 10 proxies and can be up to USD 1500.00 for 2025 proxies. 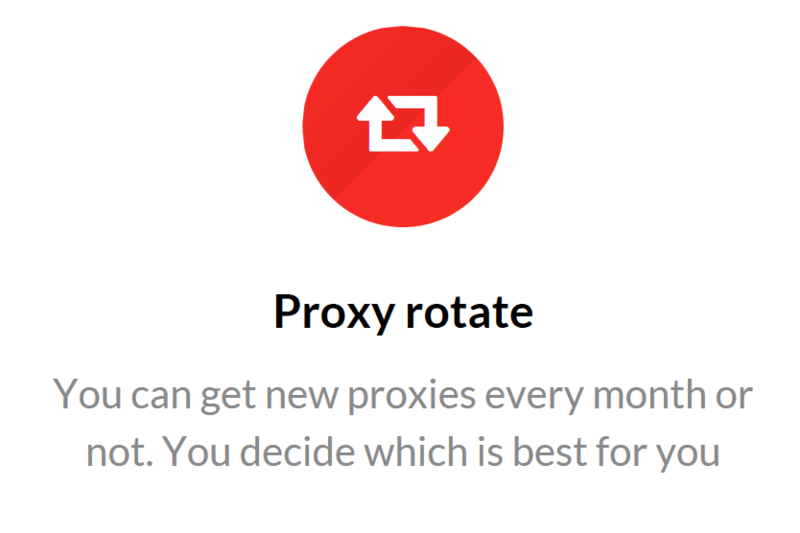 The dedicated proxies also start from USD 10.00 per month, but the user is allocated 5 dedicated proxies. While there’s a wide range of packages in between, at most 500 dedicated proxies are available for USD 650.00 per month. The sneakers proxies come in two packages only, 50 dedicated proxies for USD 150.00 per month or 100 dedicated proxies for USD 300.00 per month. Mexela also offers proxies via Fiverr gigs. Although many other Fiverr gigs resale proxies from other providers, Mexela offers genuine proxies located on their servers. The basic gig offers 4 proxies at USD 5.00 for a month. Customers have the option to add more proxies, 60 proxies can obtain at USD 40.00 and 100 proxies at USD 50.00. While the price of the proxies is competitive, users do not have an option to have a trial usage period. However, The user has the option to request for a full fund within the first 24-hours if the service does not satisfy the user. Mexela doesn’t reveal much about their proxy servers except for some of the countries they’re located in. They have proxy servers located across all over North America and in some European countries like Germany, France, Netherlands, Estonia, Romania, UK, and others. Having more servers ensures a much wider range of IP locations for anonymity and being sure to have at least some servers which do not fall into a geo-restricted area. While they have over 300,000 proxies located in these countries, Mexela should focus on distributing their servers to more locations to have more flexibility and lower ping. We purchased dedicated proxies from Mexela to review their service. We performed tests on the proxies using whoer.net which provides an aggregated result and comparison of pings to different locations. The pings changes for different locations which suggest how distant the proxy server is from the testing location. Here is a comparison chart of pings to different locations for the five dedicated proxy IPs we obtained from Mexela. With multiple servers located across USA and Europe, Mexela proxies take advantage of this and have a very acceptable ping duration that can get below 10 ms. Although the ping might not always be online gaming compatible, this is still very good regarding general browsing websites. However, the sneakers proxies can have even less ping as these servers are tailored for this specific purpose and located near the servers of the targeted websites. In the standalone speed tests performed, the service consistently maintained a very high-speed connection. It was also able to successfully mask the original IP with the IP provided by Mexela. However, it needs to be mentioned that while dealing with proxies, the limiting factor is often the ping instead of network speed. Ping usually depends on your location and the server’s performance. Here is ours IPs test, you can check ISP of Mexela’s Proxy servers. The user has the option to keep the IPs previously allotted to them or get new ones by default. This ensures that the user will have continued access even if an IP gets banned. This is especially useful for the sneakers proxies. The proxies are always new and have the least possibility of being blocked previously. The user has the option to keep the IPs previously allotted to them or get new ones by default. This ensures that the user will have continued access even if an IP gets banned. This is especially useful for the sneakers proxies. The proxies are always new and have the least possibility of being blocked previously. 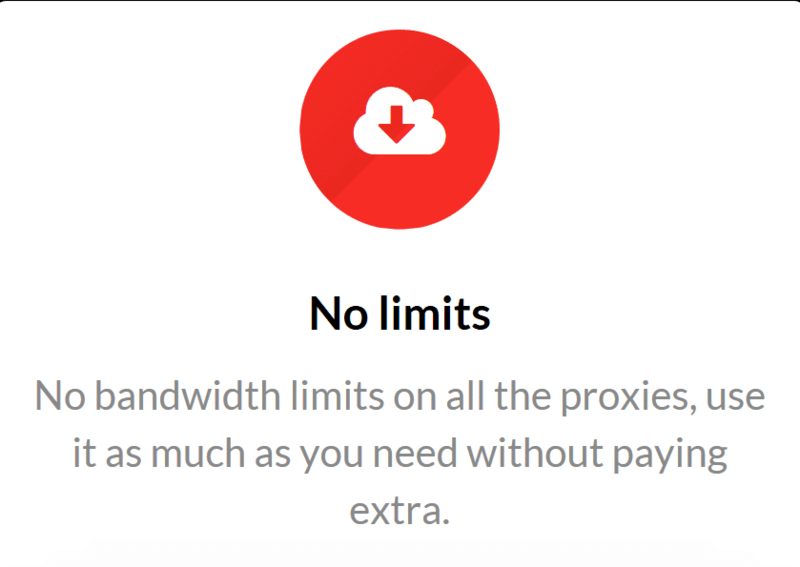 All packages of proxies offered by Mexela also have unlimited bandwidth. So the user doesn’t have to worry about a capped data plan and having to stop using the service halfway through the month. Mexela can also work with both HTTP and HTTPS so online transactions will not be a problem and security can be ensured. There shouldn’t be a problem using these proxies for creating multiple accounts on social media sites such as Facebook, Twitter, Instagram etc. since Mexela tests their proxies daily for compatibility. They also let users connect to the same proxy IP from two different IP addresses, which is greatly beneficial for collaborators. Not interested mexela? Find the other great dedicated proxies services. They claim not to log any of the user data when using the service. The proxies are also compatible with all browsers and SEO tools such as GSA, Scrapebox, AIO Bot etc. Since the proxies offered by Mexela are their own and are not publicly available for free, these are much more reliable and have a longer life compared to the public proxies. You may be like, Guide cop shoes via aiobot with proxies. Another great feature of Mexela that is applauded by many is their customer support which is available 24/7 and has a very fast reply. They have over 99% uptime as well as a 24-hour money-back guarantee in case the customer is not satisfied with the service. Signing up for Mexela proxies is quite straightforward. After choosing the suitable package, the user is presented to choose the desired proxy location from either USA or Europe, but not a specific country. The user can also mention the desired websites for which the proxies will be used. It’s possible to make payment via PayPal or Bitcoin but lacks an option to pay by credit card. Another thing to note is, they offer only monthly plans. The proxies are usually delivered within 10-12 minutes of purchase and are ready to be used immediately. As proxies can be configured for each application individually, the exact process might be different for each application. However, they all follow a common rule. The proxy settings can be found in the settings panel by searching or usually under the Network panel. While some applications require the username and password to be put in along with the IP and port number, the browsers generally ask for the username and password later. When using the proxy for all connections, the proxy settings can also be configured for the entire operating system. Mexela has some handy video tutorials to show exactly how the applications can be configured to use their proxies. In smartphones, the proxy cannot be set for individual applications. Instead, the whole network needs to be configured to use the proxy. This can be done on Android or iOS devices by going to WiFi or WLAN from Settings app and then clicking on the connected WiFi. The option of entering the proxy IP and Port address can be found by scrolling down from there. Since the proxies offered by Mexela are password protected, a browser pop-up will ask the user for the username and password that is provided by Mexela. Mexela is undoubtedly one of the leading data-center proxy services with continued customer satisfaction. Mexela offers Europe and US Dedicated proxies with fast speed. They have a large user base which is growing steadily. Although they should focus on improving some key areas, they certainly offer some of the best features among the proxy services currently available. Some of the positive and negative sides we found after reviewing Mexela can help you decide where it’s a good fit for your proxy needs. All in all, it’s safe to say Mexela excels in proxy service with their array of features that can stand up to the expectation of even the experienced users. So I would like to recommend to anyone who is willing to get the best proxy service for their money.